TableBuilder is designed to export table/BOM/schedules from Autodesk® AutoCAD® to Excel. 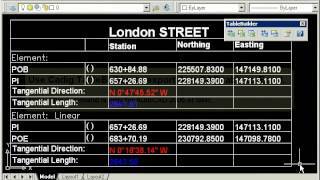 The table in AutoCAD can be AutoCAD native table or the table drawn with lines and text. Also you can convert a table drawn with lines and text to an AutoCAD native table. · Export the table drawn with lines and text in AutoCAD to Excel. · Export the table drawn with lines and text in AutoCAD to Access. · Export the AutoCAD native table to Excel. · Export the AutoCAD native table to Access. · Convert the table drawn with lines and texts in AutoCAD to the AutoCAD native table. · Copy the text from AutoCAD to the windows clipboard. 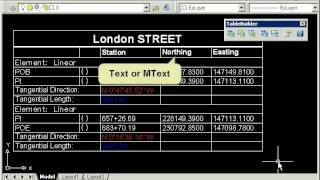 Then you can paste the text in Microsoft Excel or Word. 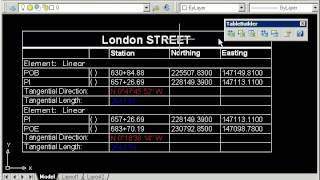 · What you see in AutoCAD is what you get in Excel. · Support for merged cell in AutoCAD table. · Support for double-line border in AutoCAD table. · Support for border color. · Support for text color. · Support for text field in AutoCAD. · Support for block attribute in AutoCAD. · Support for Unicode Encoding (Multi-language character sets, such as East Asian languages) in AutoCAD.